We are in the final stretch of the holidays! I don't know about you, but I am all about quick and easy meals this time of year. 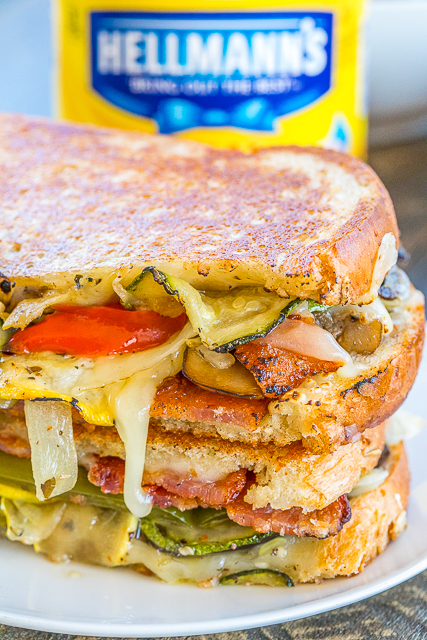 This Ultimate Veggie Grilled Cheese Sandwich fits the bill! It is super quick and easy to make and it tastes DELICIOUS! Perfect for when you need a break from all the hectic holiday activities! You only need few ingredients (bread, cheese, roasted veggies, and Hellmann's Mayonnaise) and about 5 minutes for a super yummy meal! The main ingredient in this sandwich is obviously vegetables. I roasted some eggplant, zucchini, squash, red bell pepper, green bell pepper, onion and mushrooms. I sliced the vegetables, tossed them in some olive oil, Italian seasoning, salt and pepper. I baked them at 400 degrees for about 25 minutes. Easy peasy! This makes a lot of roasted veggies. I like to use them in this sandwich and toss some in pasta. 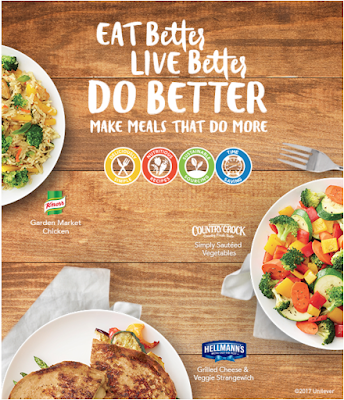 I love meals that do more!! Sunday is my big meal prep day. I usually schedule my grocery pickup from Walmart on Sunday. Have y'all tried the Walmart Grocery Pick-Up yet? It is life changing - especially during the hustle and bustle of the holidays! It is SO convenient. I can get everything for this yummy sandwich with the click of a button. I also LOVE that you get the same price with the grocery pick-up that you do in the store. Now, here is where you have to trust me. Instead of butter on the outside of the bread, you use Hellmann's Mayonnaise! I know it sounds strange, but it is AH-MAZ-ING! The bread is perfectly crispy and perfectly delicious. This is the only way we make our grilled cheese sandwiches. 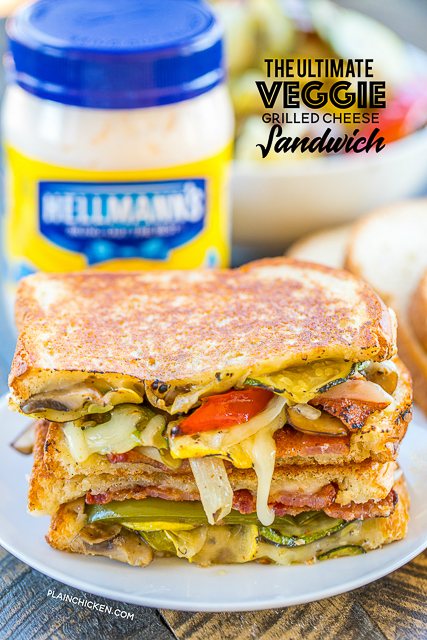 Hellmann's calls this sandwich the Perfectly Crispy Grilled Cheese and Veggie Strangewich. LOVE that name! Like I said, this is a strangewich, but it is the most delicious strangewich we've ever eaten! We got crazy and added a couple of slices of bacon to this grilled cheese and it really was THE ULTIMATE Veggie Grilled Cheese Sandwich. We will never go back to butter on our grilled cheese. The Hellmann's Mayonnaise makes the most delicious, crispy grilled cheese sandwich EVER! Try this with your leftover holiday ham and/or turkey!! Talk about great tasting leftovers! YUM! 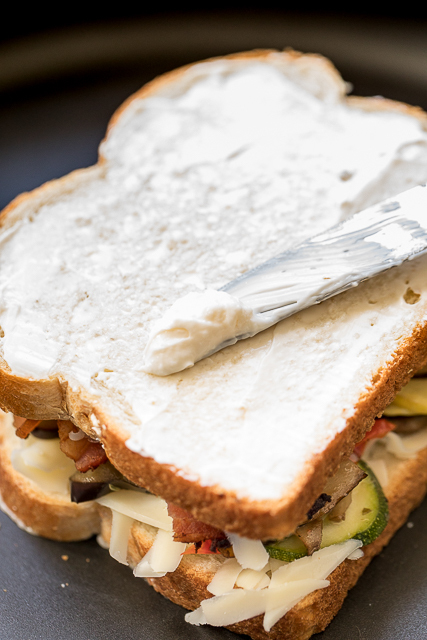 Spread one slice of bread with Hellmann's® or Best Foods® Real Mayonnaise. Place bread mayonnaise-side-down into hot skillet; add cheese, bacon and vegetables. 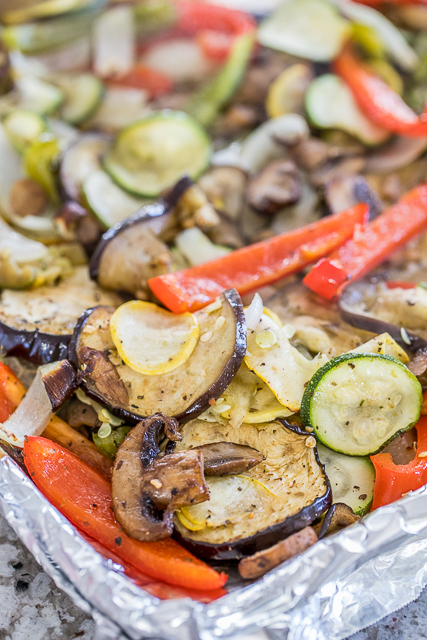 TIP: To roast or grill vegetables, preheat oven or grill to 400°F. Toss veggies with oil and season with Italian seasoning, salt and pepper. Roast or grill, turning as needed, until golden and tender.